In Today’s times, you can never be too cautious. For that extra piece of mind, we have installed multiple security systems around homes and workplaces for our customers. This can be an effective deterrent of criminal activity just by having the system in place and can reduce liability. Basic Security Systems in a home can be operated by a keypad at the entrance of the property or you can step up to a remote control on your car keys. People often think that these systems are difficult and costly to install. However, they are easy to install and can be up and be running after only one day. You can also be notified of a potential home/work invasion by an alert being sent to your mobile device. For that further bit of security, you can also install security cameras (CCTV) in your home or workplace. Allowing you instant access to view your home/workplace via your smartphone at any time. Or you can play back the recording at another time. Who Can do These Installations? You need a licensed approved Electrical Contractor and security installer to install any security system in the state of Victoria. 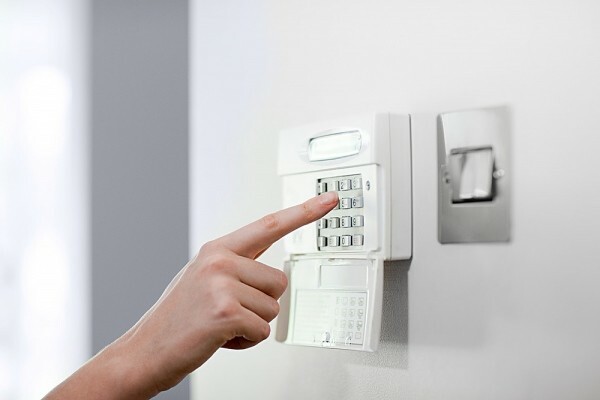 Click Control Systems have the ability and the licenses to install any security system.